Fergie Celebrates 'Fergalicious by Fergie' Spring Line in Toronto! Fergie is celebrating her new shoe line! The 43-year-old entertainer stepped out for the Fergalicious by Fergie Spring 2019 collection launch on Thursday (March 21) at Hudson’s Bay Queen Street in Toronto, Canada. Fergie looked super chic in a leather jacket and shorts paired with her Fergalicious leopard print heels. After meeting with fans at the event, Fergie took to her Instagram stories to share some photos from the day. “love u toronto, thank u,” Fergie wrote. 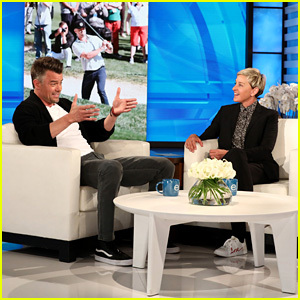 Fergie & Josh Duhamel Hug it Out During Morning Meet Up! Fergie Spends the Afternoon Running Errands in L.A.
Fergie Celebrates Music on Television at Paley Honors Event! Fergie Gets 'Magical' Birthday Surprise from Son Axl Dressed as Harry Potter - See the Pic! 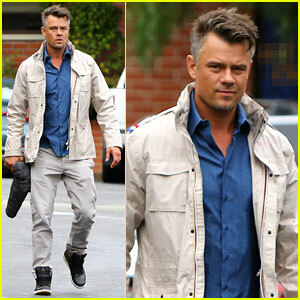 Josh Duhamel Defends Fergie's National Anthem Performance - Watch Now! 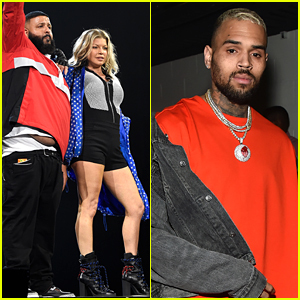 Fergie Performs the National Anthem at the NBA All-Star Game 2018!